I felt a little blue yesterday. Not depressed, but just feeling a bit low. I could guess at the many reasons, but I’ll spare you the details. After arriving home from work I told the kids, “Hey! Let’s head out to the pool” and that’s just what we did. Amazing how the secluded area around the Cheverly Pool can take you away from all the hustle and bustle of a big city. I sat in a lawn chair watching my two boys play with their neighbor friends on the gym equipment and just smiled. When we got into the water, the temperature was warmer than normal and thankfully my boys allowed me to sit in the shallow end for about 5 min by myself. I was overcome with joy. 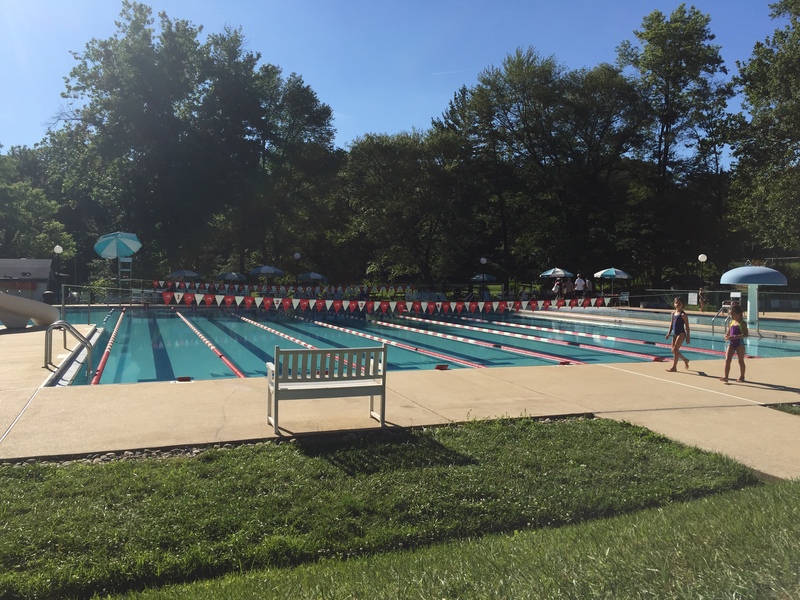 At 5 pm we were ‘kicked out’ because they had to get the pool ready for a swim meet. I decided to stick around with my boys to see the Cheverly Dolphins prepare. They did their stretches (see pic above) and then warm ups in the pool. Warm up ended with a CHEVERLY cheer. Oh my goodness, it made me so nostalgic for my days in Fairfax, VA growing up as a Greenbriar Dolphin. My childhood memory box is filled with memories from swim team. 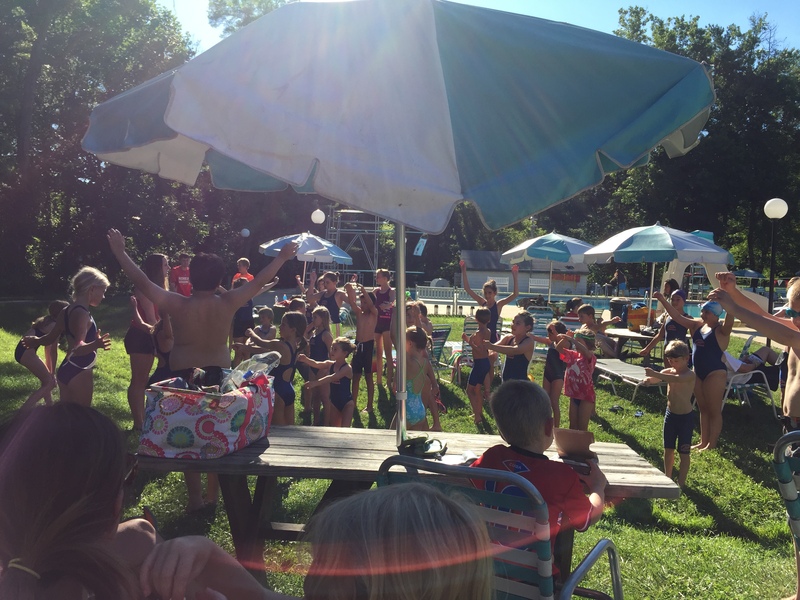 Last night at the Cheverly pool, adults sat on the lawn with their food for the evening and the kids were getting excited about their upcoming race. We left the pool at 6:15 having showered and full from ice cream that my kids ate for dinner. (Just kidding- sort of) Wow. My mood went from down to up in a couple of hours. So thankful to see past my own ‘problems’ by seeing faithful friends, enjoying the warm sun and seeing my boys laughing and splashing in the pool. Isn’t life grand?! Even a short chat with you lifts my mood as well, Lisa! Can’t wait ’til your boys are Dolphins, too!